John Deere is showing four new triplex greensmowers at GIS2019: the 2700 and 2750 PrecisionCut and the 2700 and 2750 E-Cut Hybrid triplex mowers. All are slated for availability in 2020. 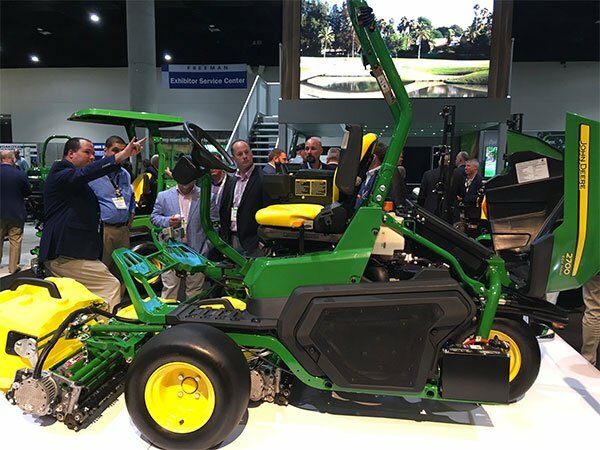 "Consistent cut quality across all operators, contour following and grass catcher accessibility are critical needs for our customers," Brad Aldridge, product manager, John Deere Golf, said in a release. 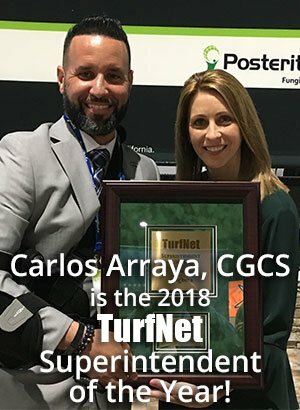 "The 2700 and 2750 Triplex Mowers were designed to tackle these challenges and take the stress out of mowing, with an enhanced TechControl system that allows for more precise control than ever before." Superintendents and technicians can input commands to control nearly everything, including frequency of clip, turn speed, clean up pass speed and raise/lower speed The TechControl system ensures that, regardless of the operator, the end results are the same. The frequency of clip can be programmed by altering parameters on mowing speed, reel speed and number of blades on the reel. Once programmed, the settings cannot be changed by an operator and automatically adjust with ground speed. The preset Clean Up Pass Mode automatically reduces mowing speed on perimeter passes to increase accuracy for less scalping or missed grass. Adjustable turn speed lets a superintendent control how fast an operator is able to turn, minimizing chances of turf damage. A superintendent or technician also can select Eco Mode which electronically controls engine speed to conserve fuel. The 2700 and 2750 Triplex Mowers have a lightweight, open platform frame design with a low center of gravity for stability and traction. The decreased weight reduces tire tracking and compaction. The grass catchers, with a translucent yellow option for better visibility of clippings, can be easily removed and installed with one hand. The steering column also has been improved on the 2700 and 2750 models, with two points of adjustment. The 2700 and 2750 Triplex Mowers offer a 62-inch mowing width and mow speeds of up to 6 mph. The three-axis lift system provides up to 18 degrees of steering and 42 degrees of contour following.